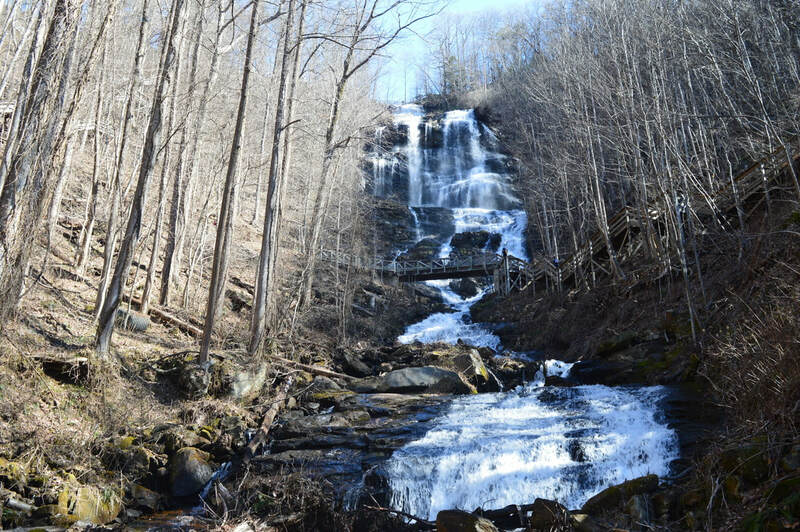 Waterfall Info: Amicalola Falls is the name that's assigned collectively to a series of waterfalls on Amicalola Creek that drop 729 feet in total. The coordinates are for the base of the biggest and most spectacular drop of the falls, near the top. Access Info: The easiest access to the view of the main drop is via the ADA-accessible West Ridge Trail. To see all of the falls, use the more difficult staircase access via Appalachian Approach Trail either from above or below.